Over just four short weeks, we completely overhauled the master bathroom of this 1980’s Lakeville Rambler. The original bathroom was underused and awkwardly laid out. 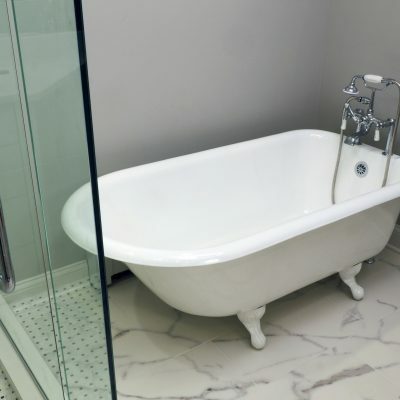 From an entrance that was hidden in the back of the closet to an oversized bathtub that wasted precious space, practical design changes needed to be made. A busy household with two college-aged daughters; this entire family was functioning with just one basement shower! 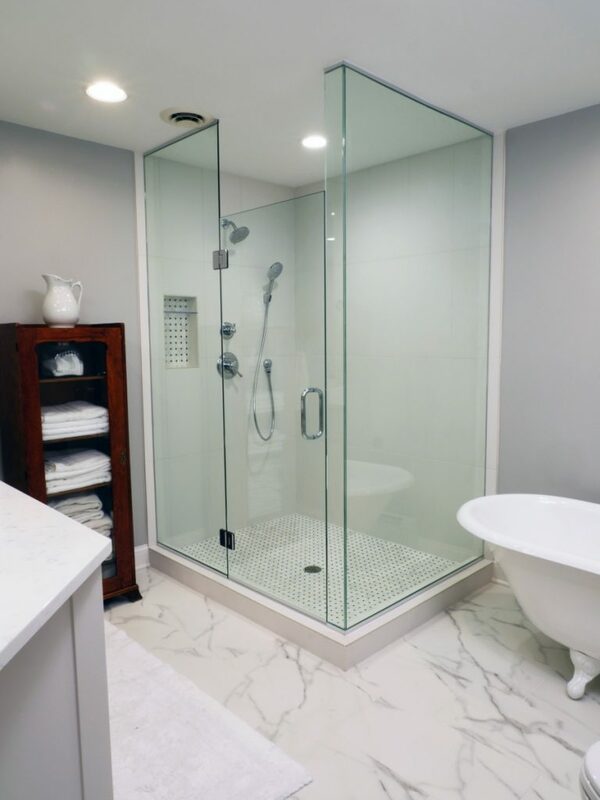 Obviously, our top priority for this project was getting a second shower installed on the main floor of this home. 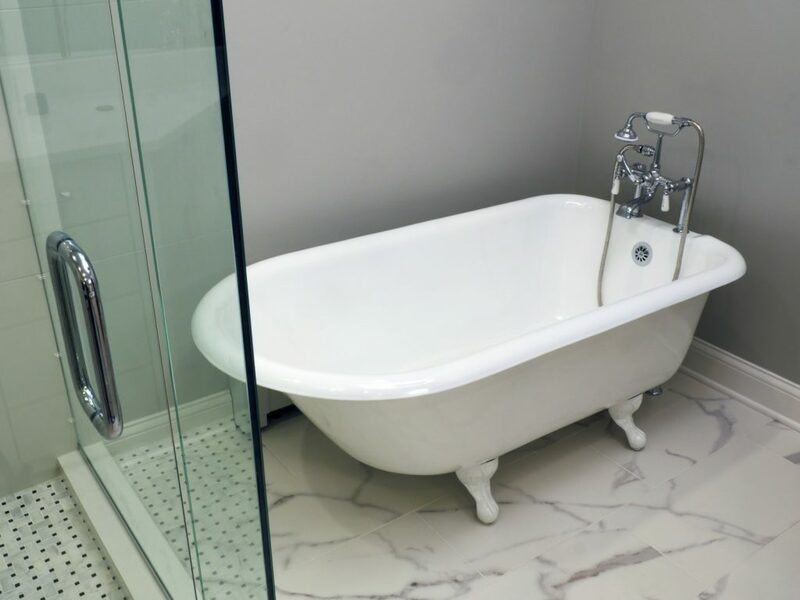 The client’s other goals were to improve the room’s dim lighting, upgrade to a clawfoot bathtub, and add a second sink if possible. After going through multiple design variations, we determined that there simply wasn’t enough available space to accommodate a double sink. 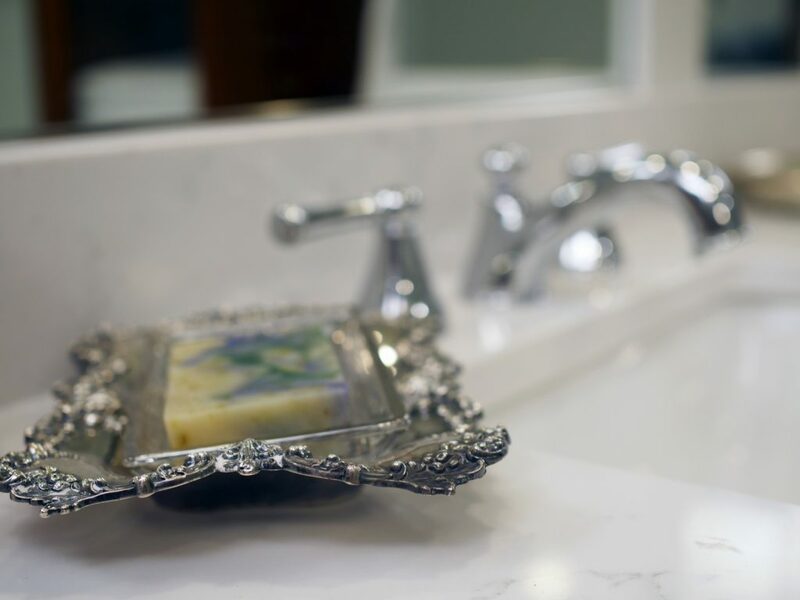 However, we were able to expand the vanity around the sink and create a more spacious countertop area in the end. 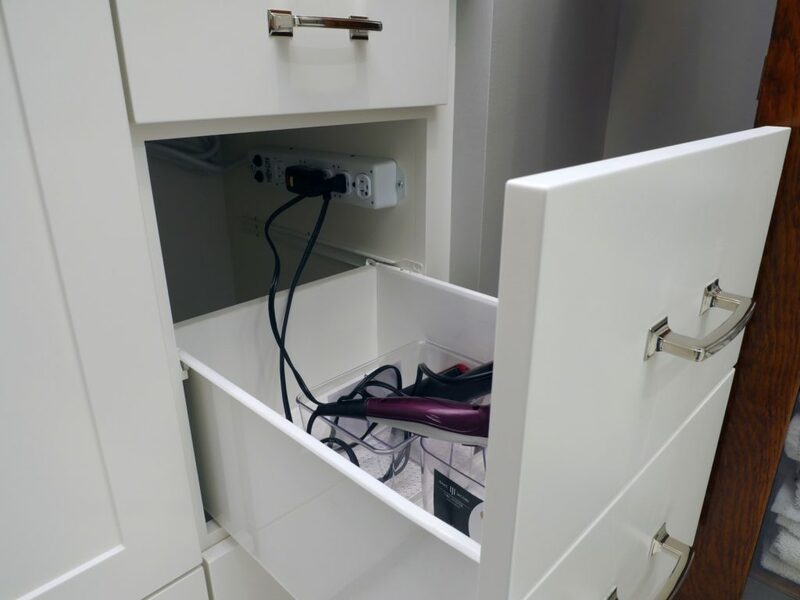 The finished cabinet also includes soft close drawers and tucked away storage for hair styling tools – there’s even a hidden outlet! 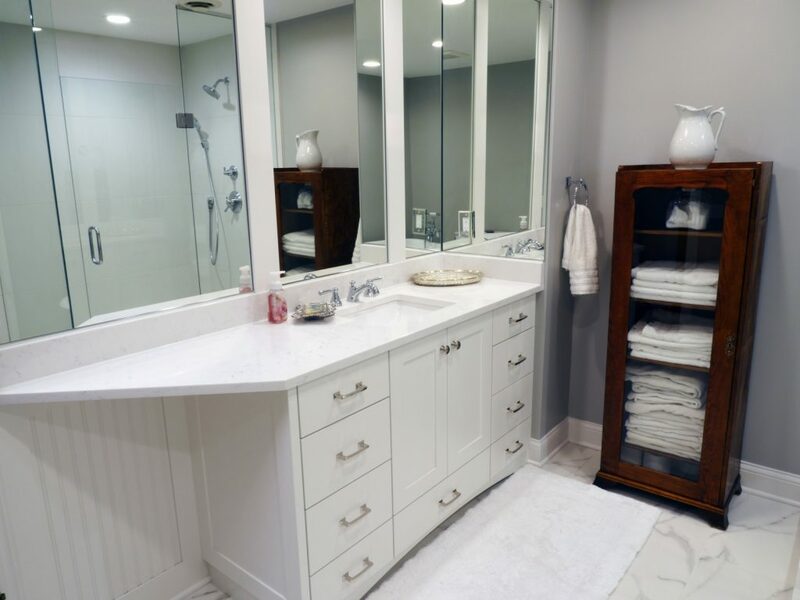 We loved creating a bathroom that finally works for this family. The updated space is classic, tasteful, and serene. 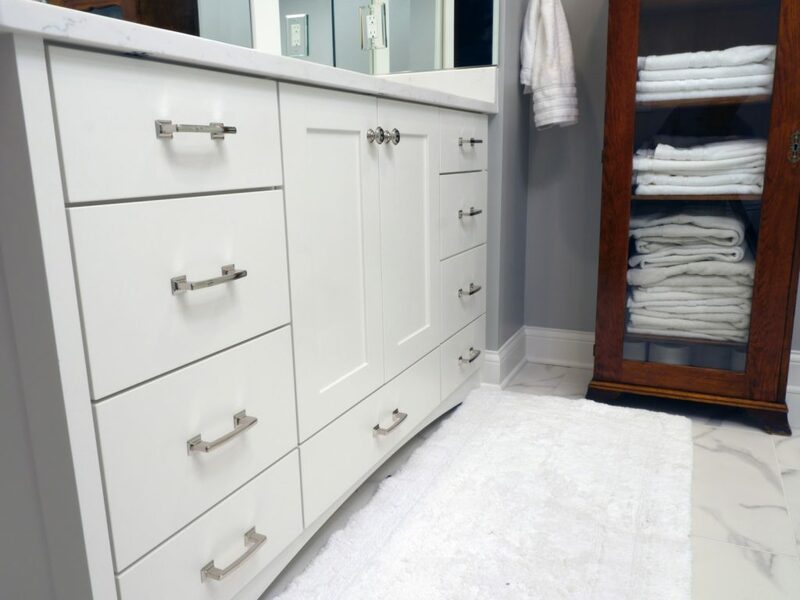 This master bath went from being barely functional to becoming a relaxing and practical room. Beauty and usability, truly the best of both design worlds! 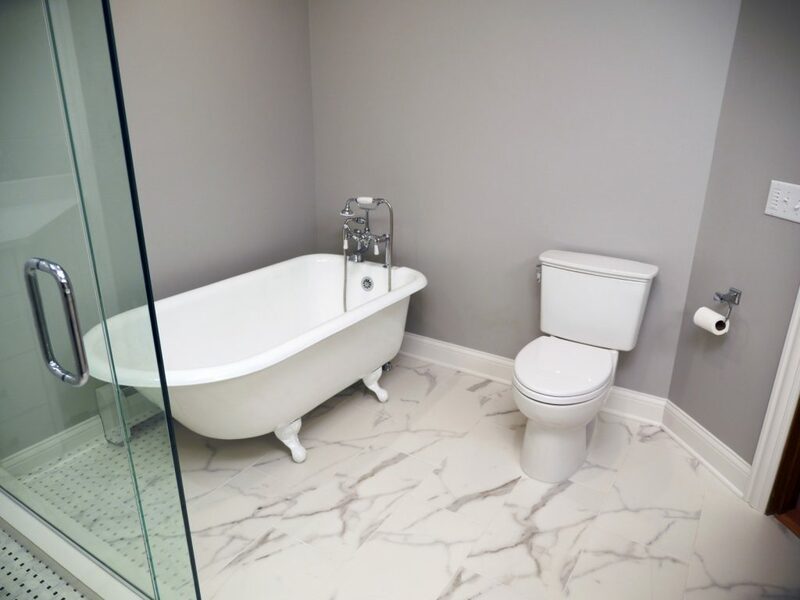 Materials Index: Cashmere Carrara Quartz Vanity Top, Calcutta Matte Floor Tile, Uni Bianco Wall Tile, Avenza Marble basketweave mosaic Shower Tile, Toto Tiolet and Faucet, Barclay Cast Iron Tub.